Star Trek Reviewed: (208) Star Trek Parodies and Comedies. (208) Star Trek Parodies and Comedies. 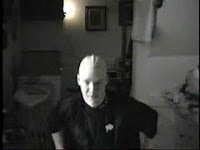 When I started I didn't want to include Star Trek parodies or commercials. It soon became clear that there were a lot of parodies, and that the line between drama and parody was not so clear. So, at first I just created a list of parodies. Most of the titles are linked to films or websites that offer them. The longer films and large volume websites are now assigned their own webpage or blog. Some proved to either not be on the web, or not easily available even if on the web, while others are not films, but comics, prose, or audio dramas. Now mostly short films remain here, although links to the other parts of the website to which the other listings have been moved remain. Also, there may be some parodies which are longer, but not clearly of one era or another, which I have not yet figured out where to they go. Some may simply be not "Really Really Bad Stuff" yet I have not brought myself to give them a whole webpage. Other people's reviews are linked to the primary listing for the item, for short films, here, for other things, where they are being listed. I have not reviewed any of these, although I have had to watch many superficially to place and organize them. Below, the order is alphabetical. Some parodies of historic interest or which are otherwise attached to dramatic or adventure productions have their own web pages, even if they would otherwise not warrant them. All About That Borg - A Star Trek/All About That Bass Parody, Parody, (Silver Age), see https://www.youtube.com/watch?v=D58UtUeSQQc (3:26). Breaking Bad Star Trek. Breaking Bad Star Trek Scene Animated. Animation by Matt Czap. Bathroom and bloody humor, Golden Age. 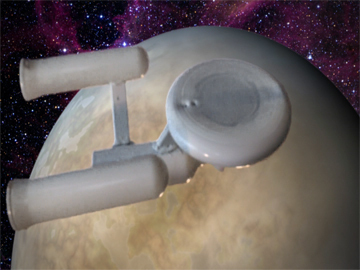 http://io9.com/the-star-trek-saga-from-last-nights-breaking-bad-in-a-1109871958 (1:57) See also http://www.youtube.com/watch?v=NqIJ3hgkIDY (1:57), https://www.youtube.com/watch?v=vd5j0AMpsuU (1:57) I don't believe this appeared on the show. Mixed fan and pro sourcing. The Chumps - Star Trek Parody http://www.youtube.com/watch?v=llJb0vLxQPc (5:01) based on TWOK. Filmed from a live act. 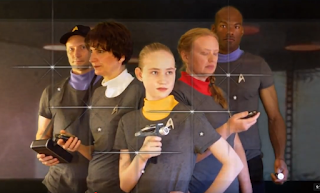 City Of Refuge Anniversary Party Star Trek Skit uploaded by Brenda Craig. 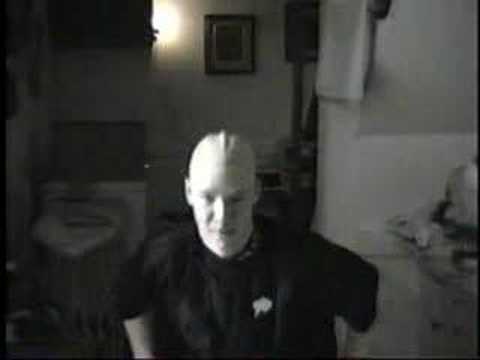 Shaky audience video of live action comedy skit, year unknown. "The source VHS tapes have been in storage for a long time and did not survive well." https://youtu.be/e-qcMe6-3X0 (13:36). Emotitron, "Die Maschine" Official music video https://www.youtube.com/watch?v=FBItnHdojdk (4:38). 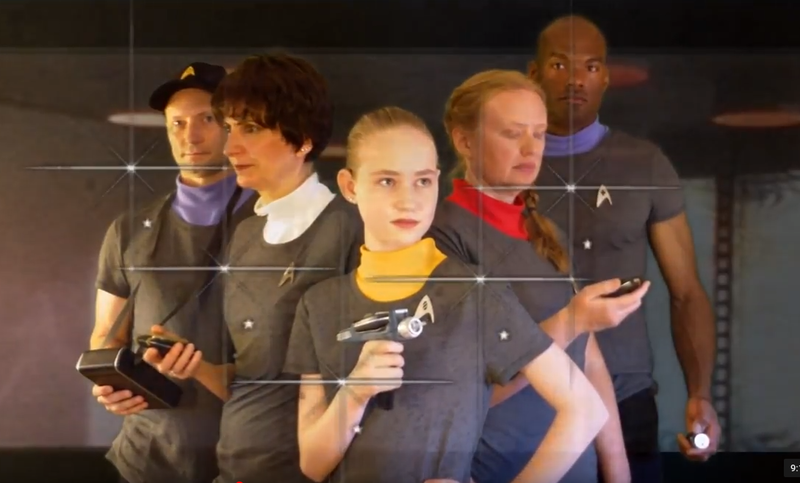 Ghetto Star Trek, (a parody of TNG) https://www.facebook.com/erika.chambliss.9/videos/1415175255187127/(2:05). A longer version of this film: https://vimeo.com/268698746 (4:40). Gilligan's Star Trek/(54 seconds, uses the Gilligan's Island theme to introduce TNG. Halloween Star Trek http://www.youtube.com/watch?v=wn39_sNDDt0&feature=feedlik (9:38). Shot using the costumes at a Halloween party, this is better than it had any excuse for being, although it would probably have been rated as a 1 or 2 if it were rated. Captain Kirk, Spock, Uhura, Q, R (invented for the film), the characters from The Wizard of Oz, a security officer from the Mobster planet, Guinan, Jordy... and it's Spock, not Kirk that turns in Elvis... you know these folk watch Phase II. Inconsistent, but surprising. Jesus Hates Klingons, from EVERYTHINGISTERRIBLE, a parody, "Jesus Hates Klingons" https://www.youtube.com/watch?time_continue=7&v=PfJuqOnNCCA(3:12). Klingon Sound of Music, https://vimeo.com/42036095 (5:56). Leaked Footage from New Star Trek Movie is an unrelated poem being recited by William Shatner with dolls and some other effects acting it out. Let It Snow (parody) https://www.youtube.com/watch?v=O7h7Mfe8BDw (3:39). 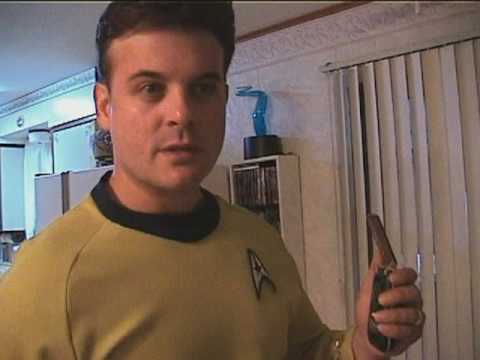 Officer Bob Meets Star Trek, https://www.youtube.com/watch?v=4ASSaq4zX6c (1:00). Series is about Officer Bob. Orion Slave Girls Must Die!!! First 6 Minutes Preview(6:40) posted by http://www.youtube.com/user/ForgottenRed who offers the full video for sale on ITunes for $1.99. Full video is 25:56. Story is about a Trekkie trying to leave the 'fold'. The Psychotic Hour - Return of Vorg. Moved to Audio Listings. (2) A (Short) TNG XMAS Special, https://www.youtube.com/watch?v=A0qFROMpNtQ (1:25) Dec. 8, 2018. The Search for Spock's Body Parts has been given it's own webpage, Blog 39. Space Trek -- Episode 87 http://www.youtube.com/watch?v=9SMNVjTODn4 (1:47). As much Star Wars as Star Trek, this is a fake commercial for a law firm. Starship Seneca has been given it's own Webpage at Blog 97. Starfleet Geeks from Geeking Poetic Podcast. The adventures of two young ensigns and their commanding officer, who work at Starfleet Base and have to deal with the ongoing absurd situations that Capt. Kirk and the Enterprise routinely get themselves into. Check out this pilot episode to get introduced to the characters. Star Tregg - The Origiwool Series. Stop action animation in which the set, and all the characters of TOS are made out of crochet or knit materials. People are shaped like eggs. Based on Amuck Time. Watch it here: https://www.youtube.com/watch?v=GGsHfm8S7Ng (6:46). 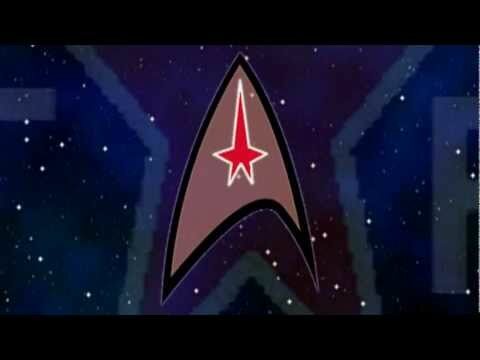 Star Trek - Bad Days Season 2. http://www.youtube.com/watch?v=H8s9aXRL95E (3:11) From Marvel Comic's Stan Lee. Star Trek Beyond the Musical Animated Parody Song https://www.youtube.com/watch?v=NlKL-rXDKmE (2:56). Star Trek Chatroulette http://www.youtube.com/watch?v=9eUzwJsFmmU&feature=player_embedded (1:53) The filmmakers says it's a comedy, so I'm taking his or her word for it. Star Trek: Here Today, Gorn Tomorrow http://www.youtube.com/watch?v=GS7bnchX8F4&feature=related (9:08) (TNG era Comedy) see also Blog 138 B. Star Trek Hottie is a reposting of Beam Me Up, Hottie, posted supra. Star Trek Movie Marathon at Midtown Cinema. Parody/Comedy commercials. Star Trek: Nightshift. It is easily understandable by English speaking viewer, and ranks among the funniest short films I've seen. I include it as part of the expanding volume of German Trek. Star Trek Spoof: Rick and Morty: https://www.youtube.com/watch?v=QlqwcCx3g0s(0:31) Not very Trek-like. Star Voyage with ALPHA SENT-URI, a parody, https://www.youtube.com/watch?v=qxRTi3_gLiU (2:06). 2) KOOTIES IN STAR TREK: THE VULCAN DEATH GRIP https://www.youtube.com/watch?v=43a734FJZvc (0:31) January 29, 2010. 3) Captain Jean-Luc Picard. Star Trek Next Generation Cartoon Impersonation. (Very off-color. express sexual jokes and implied racial jokes. Anti-Trump references.) https://www.youtube.com/watch?v=vPDg5copSGg (2:39) March 1, 2018. 4) Star Trekked. Star Trek Cartoon Parody. https://www.youtube.com/watch?v=15Trv3FkW48 (0:20).